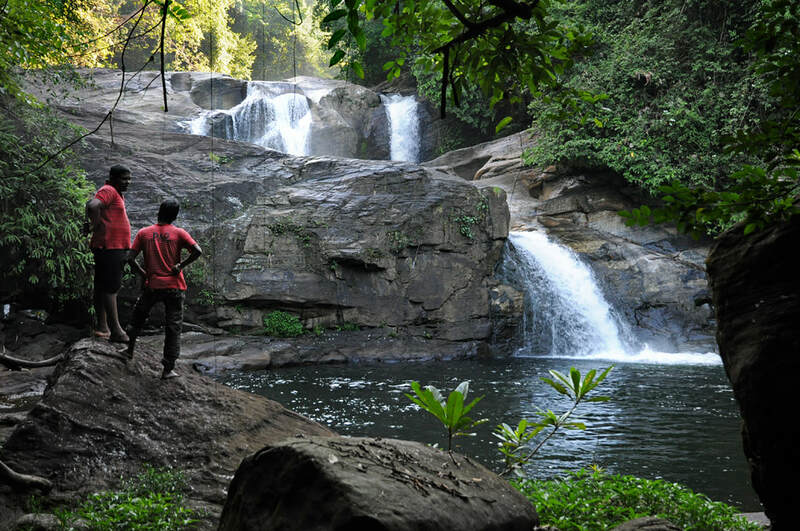 Mannakethi Ella is a rarely visited waterfall only 4 km north of Kitulgala but not easy to find. 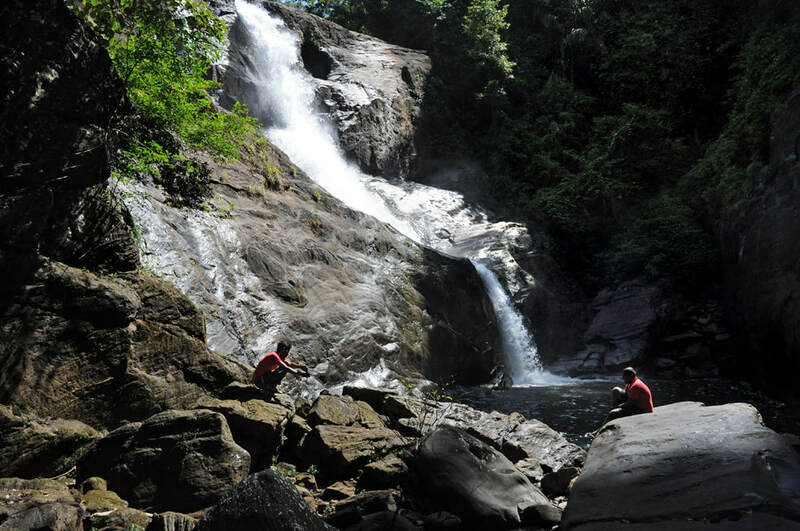 Actually, it's one of Sri Lanka's most beautiful waterfalls. Except from periods of heavy rainfall, the lower fall is a typical horsetail waterfall of 60 m height. In contrast, the upper Mannakethi falls are wide cascades. Bathing in the pool below the upper falls is not dangerous, as the currents are not strong and the cliff of the lower falls is in 50 m distance.